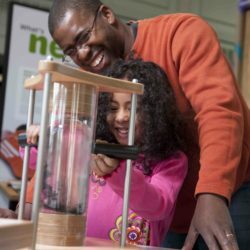 Nano is an interactive exhibition that engages family audiences in nanoscale science, engineering, and technology. Hands-on exhibits present the basics of nanoscience and engineering, introduce some real world applications, and explore the societal and ethical implications of this new technology. Nano was created by the Nanoscale Informal Science Education Network (NISE Network) with support from the National Science Foundation. Explore new worlds as never before in an immersive 360 degree experience. 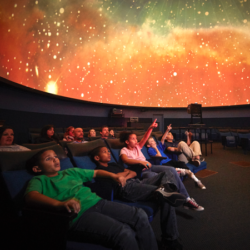 Our planetarium is one of the largest in the entire Pacific Northwest, and is outfitted with the latest state-of-the-art equipment. Your students will enjoy a wide array of custom live programs and exciting full-dome shows in ultra-bright, high-contrast, 4k resolution.